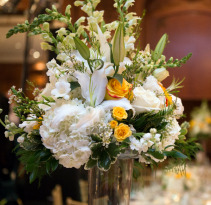 At your wedding ceremony, let the color and beauty of flower arrangements, garlands, candles and ribbons create the desired atmosphere for your special day. 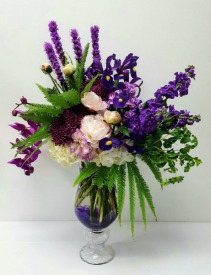 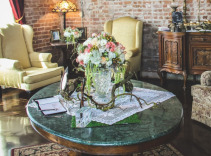 Prices range depending on the materials, elements, or size of the bouquet.Please contact us directly for pricing or to schedule a consultation at 281-316-0088. 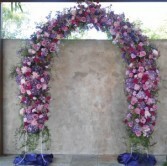 This is an impressive ceremonial arch with flower encompassing the arch from end to end. 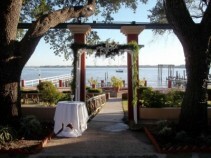 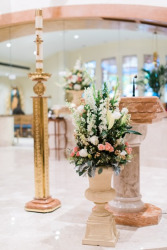 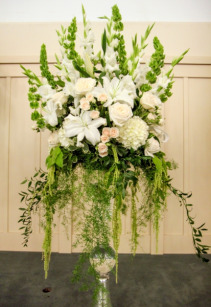 It will be a gorgeous addition to your wedding ceremony. 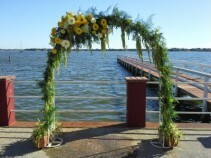 This very Elegant and Simple design will bring all the focus on the bride for her special day while providing a beautiful background. 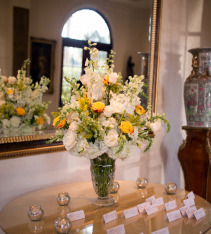 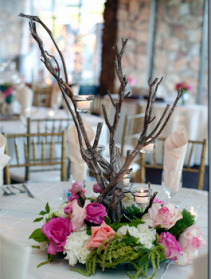 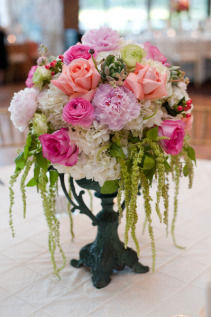 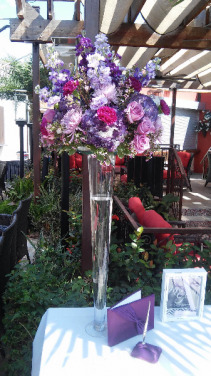 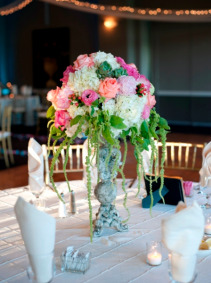 This beautiful centerpiece is perfect for a classic white wedding with a little pop of color to brighten things up. This Elegant arrangement is a complement to the Simply Elegant Arch. 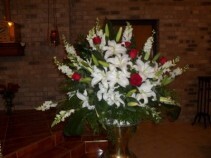 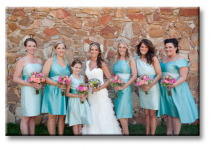 It will add an extra touch of beauty to a wonderful ceremony.